The second my Everyday Happy package arrives at my house I feel happier. I told Barbara that their packaging in the best, hands down, and I mean it. White floral on cardboard makes me smile and my kids throw around the orange and white crinkle paper like it's 1999. Over the years I have become what some may call a homebody, a hermit, and the like. I'm not ashamed to claim it. When I'm home, I'm h-o-m-e. I do all of my Christmas shopping in one Amazon Prime, and a couple etsy, orders. Girl, bye. Seriously, who goes to stores anymore? Kristen Bell crying over a sloth and me crying over diapers magically appearing from USPS, when I can't find a single one in my house? SAME THING. I've had 1-2 children at a time (maybe more at times? I can't keep track) in diapers for the past eight years. What the what. I feel like this makes me a professional at diapering and also choosing the best diapers. And I've chosen, players. My babies feel comfortable in Everyday Happy's diaps. They are soft, strong, and they are cute. More than that: They last all night long with a five month old who never stops peeing. They are made from wood pulp, they're non-toxic, and chlorine free which makes me feel good about saving trees and my hippie status. I like wipes that smell fresh and like nothing at the same time. What smells worse than a dirty diaper? A dirty diaper mixed with flowers. Everyday Happy's natural wipes are my jam. "Super soft & gentle for a soothing clean on little bums." Basically, if your packaging says little bums, I'm sold. They've also got a whole slew of other products I'm crazy for: laundry detergent, all purpose cleaner, prenatal vitamins and more! 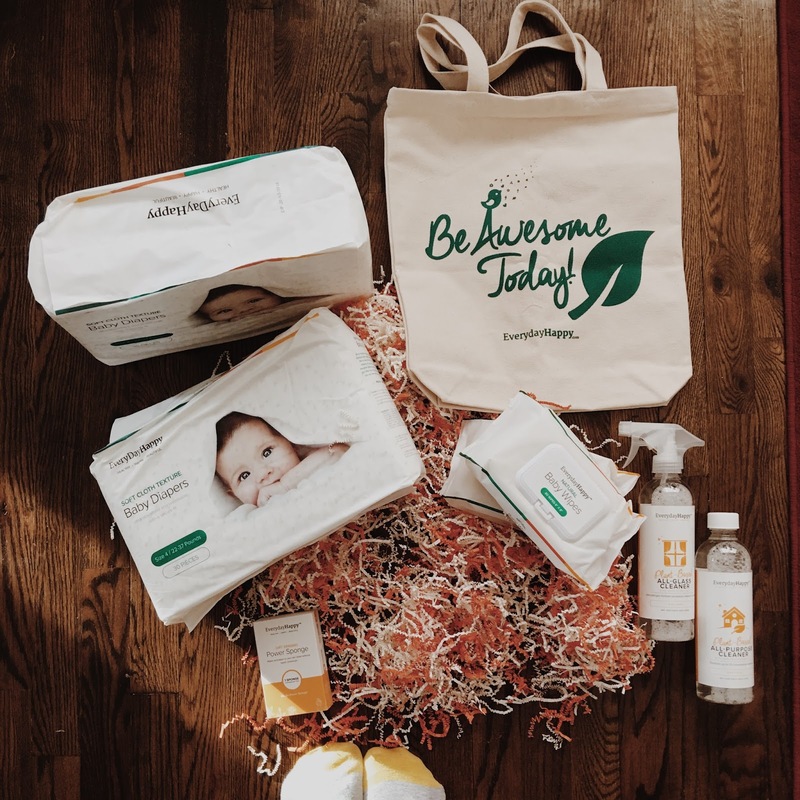 "Established in 2013, EverydayHappy offers a premium range of eco-friendly, toxin-free baby and family care products, which aim to save parents both time (yay, home delivery!) and money. Each and every item is the result of an intense collaboration between our diverse team’s wide-ranging talents. We put all of our energy into researching, testing and refining our EverydayHappy line, then we did it all over again until we were satisfied. Our kids can’t read labels, so it’s our responsibility to make sure they’re only exposed to safe, natural ingredients. What we’ve built is a promise: To make every day happy for them, and for those who want to join us." The best part: Use coupon code DBURKLEO40 at checkout to enjoy 40% off a purchase of $50 or more. Young moms, especially working moms know how important is to keep your kid calm. You need time for yourself, not only for work so Everyday Happy is as a real blessy. I’ve been working as a freelancer for http://pimion.com when my baby was 1 year old and only Everyday Happy products made him satisfied and quite. 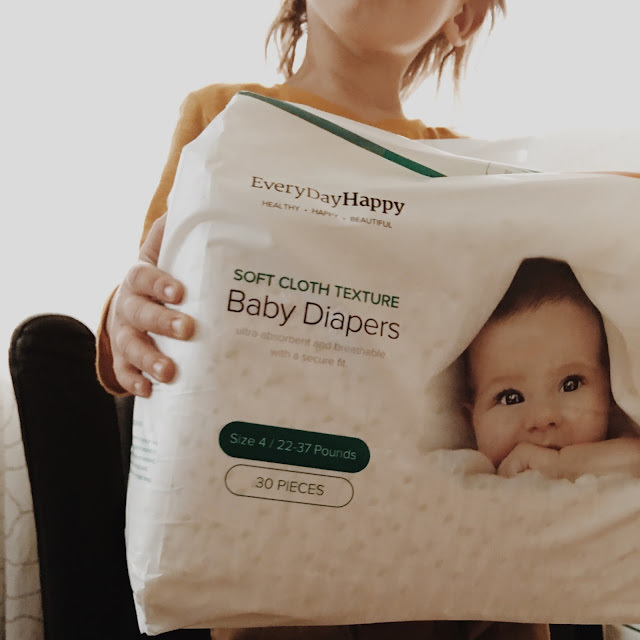 have you found diapers that are clean yet?